Downloads section for the FF Monster Tactics mod. This is the ASM pack used by Monster Tactics. Being in the same folder as the patch has caused some confusion, but I still want the patches available for documentation purposes and to help other modders/asm'ers. The test file and "disable game music" are not patched to MT, everything else is. Several of the hacks used in MT were created by other people, and several others were rewritten by me to work with other code I have. These are still included within the folder, but if you use them, please credit their creators and not me! Welcome to Ivalice! This isn't the same Ivalice you may have remembered from Vanilla FFT. So forget *almost* everything you thought you knew. Many changes have been made, not only to the battles themselves, but to the mechanics of the game. Human population has been mysteriously dying out, and monsters have taken over. You can no longer hire human units, but you can recruit monsters for free in random battles. Monsters are now dangerous - they are no longer the pathetic counter bots of vanilla. Every monster has a minimum of 4 skills, and several have far more than that. Monsters also now have greatly improved innates, including several r/s/m abilities, innate status, status/elemental resistances, etc. Due to several changes in the mod, it's a lot tougher than vanilla FFT. 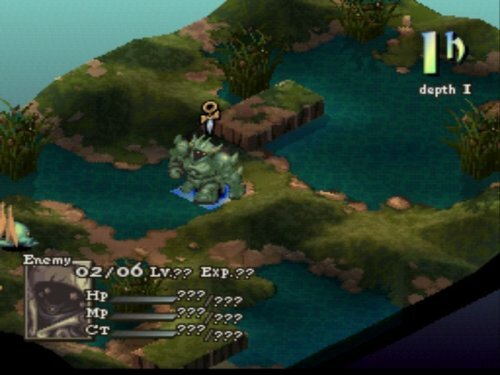 Most notable changes that lead to its new difficulty are the improved monsters and enemy formations in general, the enemy scaling to the party level, and shenanigans in general. If this is your first time playing a FFT mod, don't give up! It can be tough to learn at first because it's something you're not used to. Encounters have been balanced to help break bad habits taught from vanilla. If you're a vet from another mod/vanilla challenge runs, the AI hasn't been changed so you can still abuse it in many of the same ways. The #1 advice I can give any player starting out on the mod is to tooltips everything. (Press the help button over anything you want to tooltips) Literally, everything that is possible to be tooltipped (with the exception of skillset names which I'm not too sure what to put there except maybe flavor text later) now has a tooltips that tells you what you need to know. All moves have relevant flags listed. All items list the item's effect. Class/monster names list innates and where you can get them if they're recruitable. All tooltips that were wrong in vanilla have been corrected (including zodiac signs and things no longer relevant to the game). Named characters have a quote - some drop hints, while some aren't exactly serious... Many of these flags/effects/innates have been changed from vanilla so when in doubt, check the tooltips. If you see any inconsistencies in what is written on a tooltips and what something's actual effect is, let me know immediately! The #2 advice I can give any player starting out is to pay attention to everything. Things that you might have not paid attention to before, such as the CT bar, how many turns an attack takes to charge, status weaknesses, etc. become relevant in the game. Paying deep attention to stuff like how reflect and silence affects the AI, which units have a way to revive, CT on just about anything, etc. will help you learn both the AI and the basic mechanics of the game faster.